Each Wednesday and Friday during School Terms only at The Cottage in Ocean Room 1 for children aged 0 to 6 years of age, not enrolled at school. 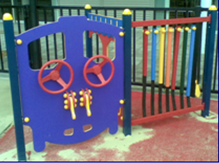 Play group runs from 10am until 12noon and costs $2 a session. Please bring along a good food item to share for morning tea. 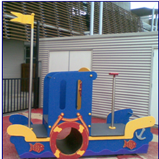 Come and enjoy our fantastic new kids play equipment! Wednesday's group features qualified speech therapists from All Area's Speech Pathology from 11am to 12noon every week. The best part is it only costs $2 and a piece of fruit for morning tea to share amongst our friends and you get access to this wonderful service! No need to book just come along in school terms.